The daughter of film star Margaret Lockwood, Julia Lockwood made her own acting debut at the age of four, appearing alongside her mother in the 1947 drama Hungry Hill and went on to establish a long career on stage and screen. When her parents divorced in 1950, she lived with her mother in London and attended Arts Educational Schools. Too tall to become a dancer but with an inherited talent for acting, at 12 she was offered the eponymous role of Heidi in a 1953 BBC television series, revisiting the character a year later in Heidi Grows up. Graduating to more adult roles, she went on to appear in a number of television dramas and series including The Royalty (1957-58), The Invisible Man (1958-60) and Don’t Tell Father (1959). The same year she herself played Peter Pan for the first of four iterations (also at the Scala), returning to him in 1960, 1963 and 1966 (when her Captain Hooks included Donald Sinden, Alastair Sim and Ron Moody) having first played Wendy opposite her mother in 1957 and again, alongside Sarah Churchill, in 1958. In the 1960s, her theatre profile increased with appearances in Joseph Kesselring’s Arsenic and Old Lace with Sybil Thorndike and Athene Seyler (Vaudeville Theatre, 1966), ​Carlo Goldoni’s The Servant of Two Masters with Tommy Steele and Michele Dotrice (Queen’s Theatre, 1968), David Heneker; toured in George Axelrod’s Goodbye Charlie with John Gregson and Lynda Baron in 1969 and Peter Yeldham’s Birds on the Wing, in which Bruce Forsyth made his straight West End debut (Piccadilly Theatre, 1969). Among Lockwood’s last stage appearances before retiring to raise to a family were William Douglas Home’s The Jockey Club Stakes (Vaudeville Theatre, 1970) with Wilfrid Hyde White and Ernest Clark (whom she married in 1972) and Robin Hawdon’s The Mating Game with Terry Scott and Aimi MacDonald (Apollo Theatre, 1972). 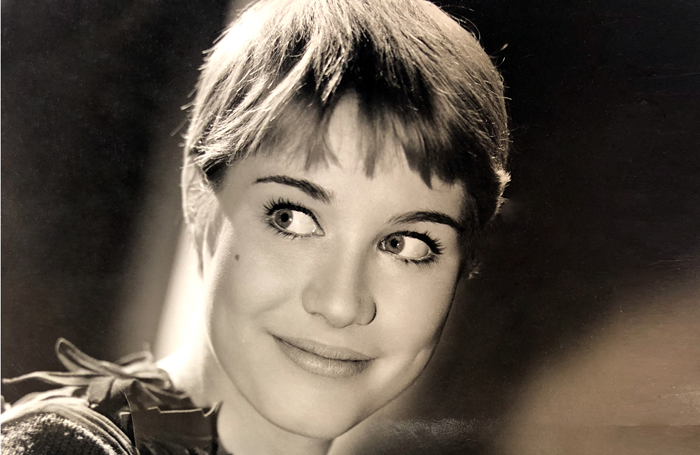 Her other television appearances included more than 70 episodes of early BBC soap Compact (1963) and hotel drama The Flying Swan, in which she co-starred with her mother (1965). She shared top billing with Richard Briers and Anne Rogers in 1971’s television adaption of Yeldham’s Birds on the Wing and was heard alongside Briers in the early 1970s BBC Radio 4 sitcom Brothers in Law. In later years, she returned to Arts Educational Schools to teach and, following Clark’s death in 1994, moved temporarily to Spain before finally settling in Somerset. Julia Lockwood was born Margaret Julia Leon in Ringwood, Hampshire on August 23, 1941 and died on March 24 aged 77. She is survived by four children.